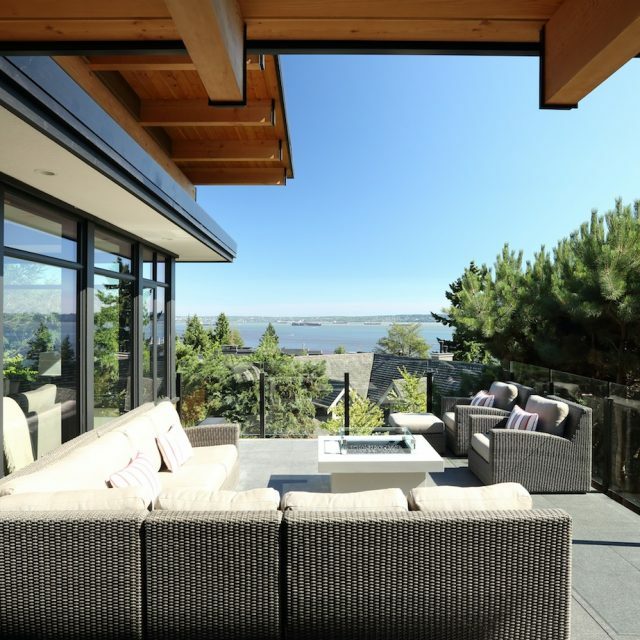 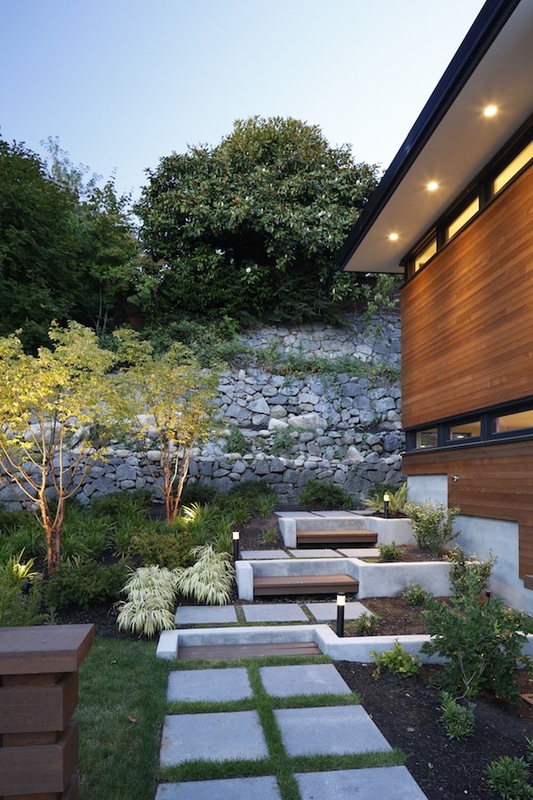 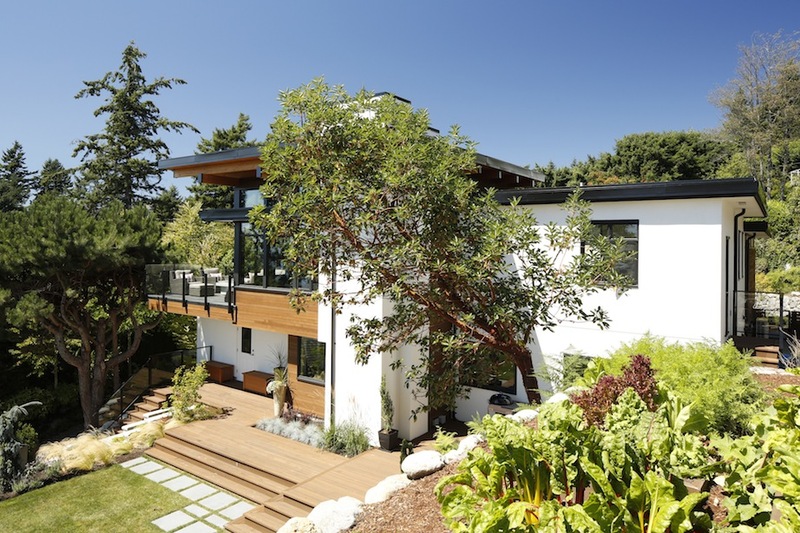 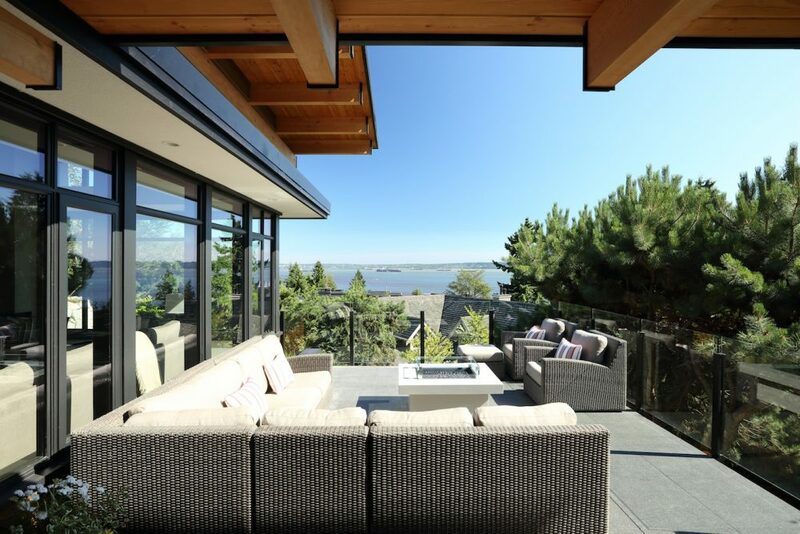 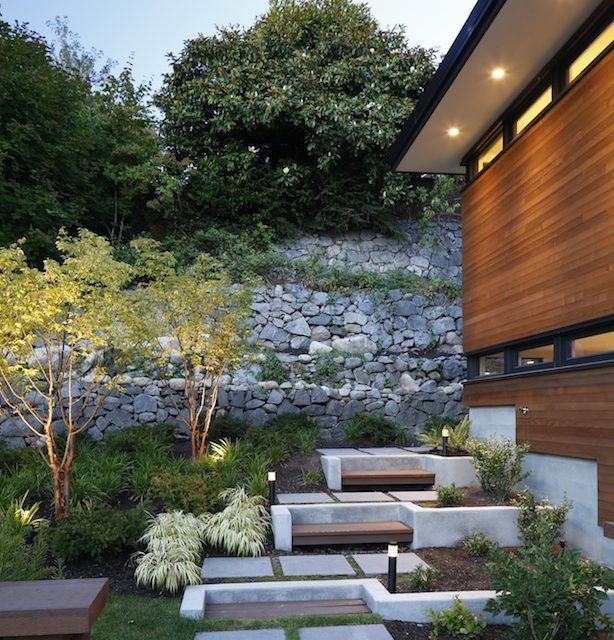 Working with Naikoon Contracting, our team designed and installed this scenic landscape for a property located in West Vancouver. 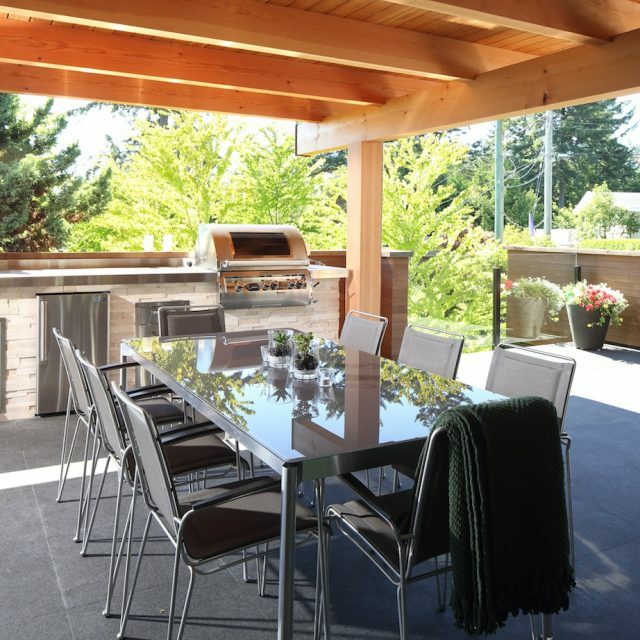 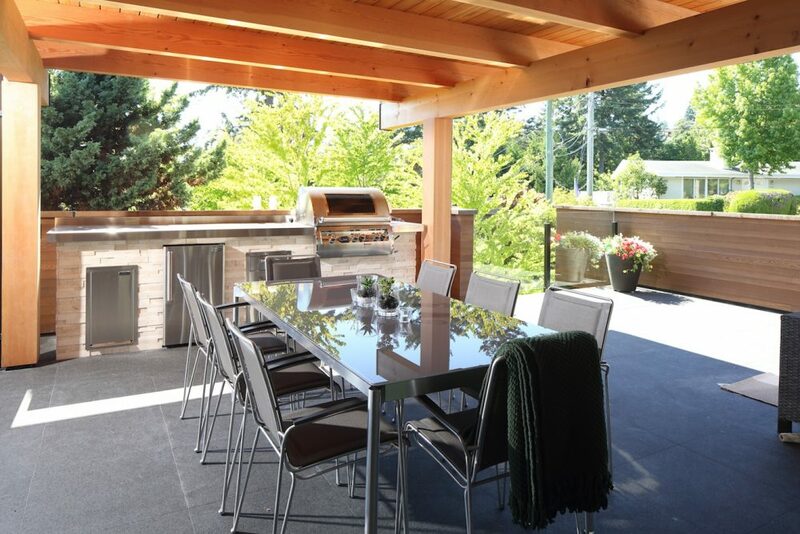 A porcelain paver patio with a built-in cooking station overseas the skylines of Vancouver, accompanied with horizontal fencing details throughout the property. 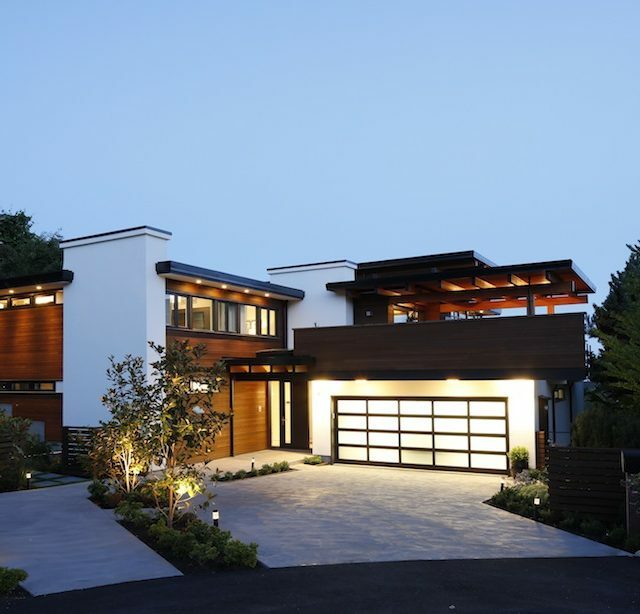 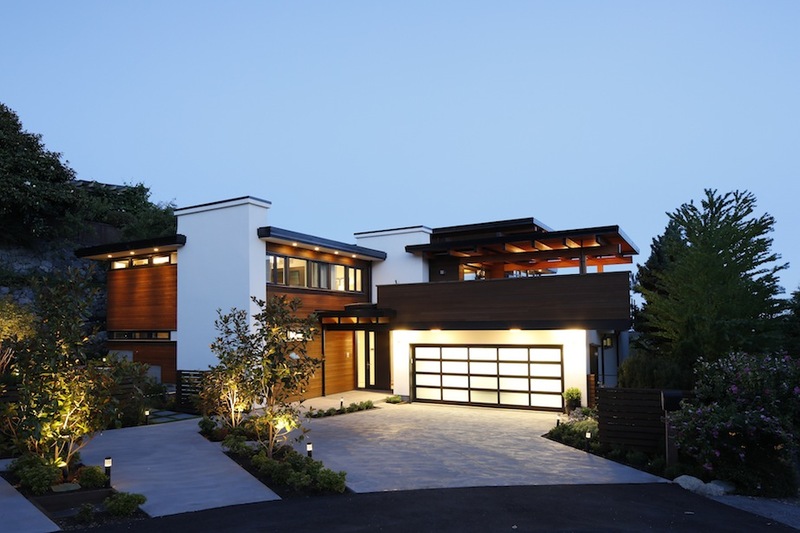 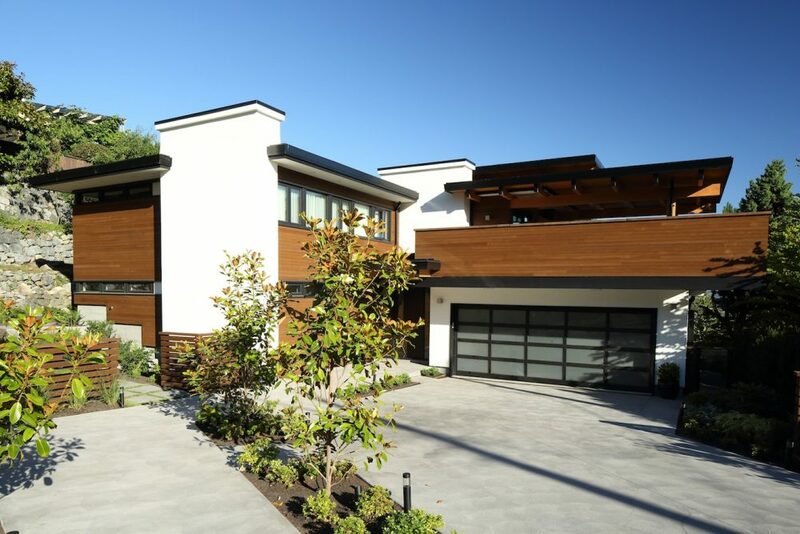 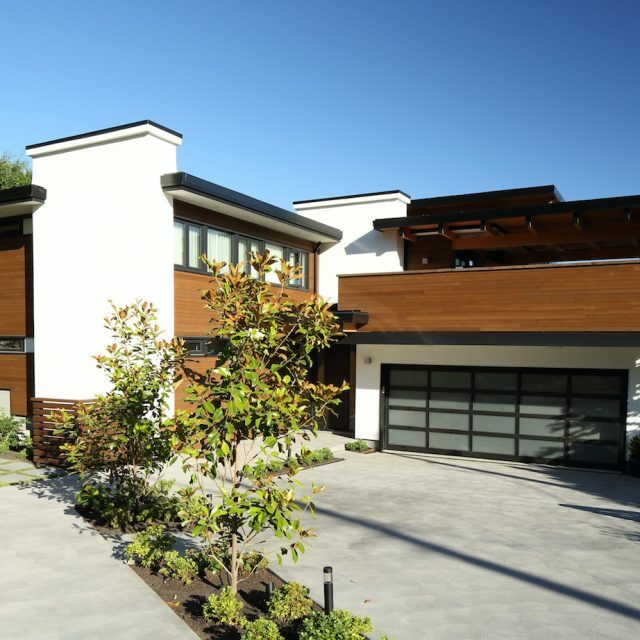 The sand float finished concrete driveways and walkways around the property are a perfect match with the modern clean line finish of the house itself, accentuating its simple yet sophisticated design. 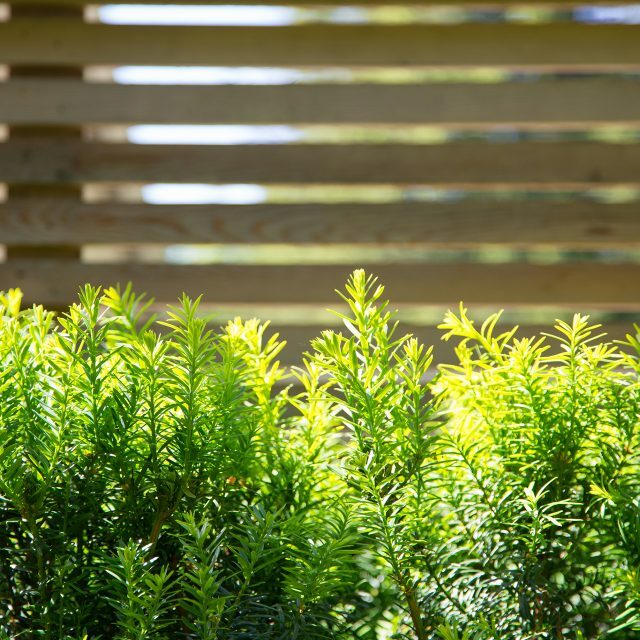 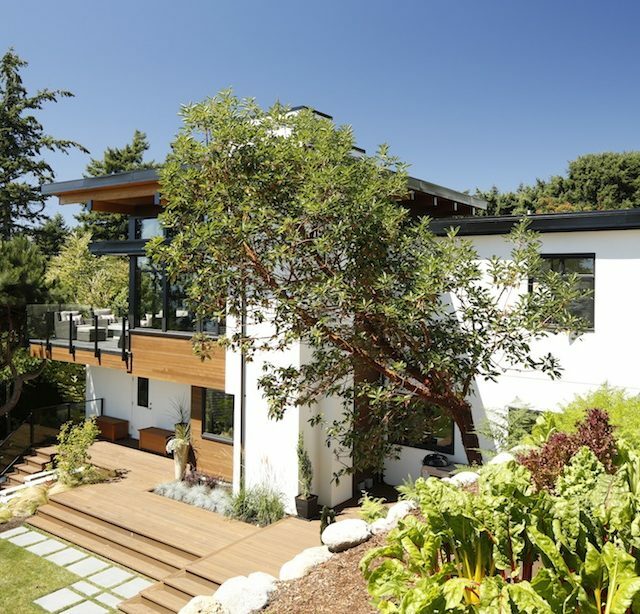 A vegetable garden was incorporated for self-sustainability, along with low maintenance trees and shrubs to ensure our client would be able to take care of their lovely gardens without much fuss.